Blue Sky Black Death is a production duo composed of Kingston (formerly Orphan, real name Ryan Maguire) and Young God (formerly Rev. Left, real name Ian Taggart). Kingston began his career working with Noah23, with whom he co-founded the Plague Language record label. The two worked together closely until 2004, at which time they parted ways. Young God also contributed production to Plague Language artists. 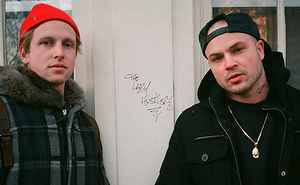 The two began collaborating in 2004 under the name Torso, and released their debut album "A Heap of Broken Images" in 2006.